A short distance from Dublin is Newbridge Estate, a sprawling regional park full of woodlands, wild meadows and more. Get away from the city and lose yourself in the idyll of this rural landscape with this ticket package. 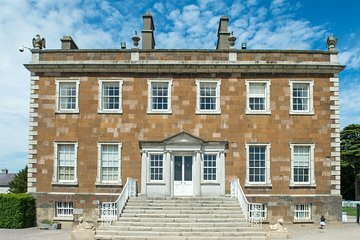 Explore the grounds and the house itself, an 18th-century mansion full of well-preserved Irish art and furniture. Meet the cute Shetland ponies, goats and piglets at the estate’s working farm. Ramble around the ruins of Lanestown Castle, located within the estate grounds.